"Now stand up straight," I said, fussing other my kids like we were about to meet the in-laws for the first time. "I want you on your best behaviour. This place is a little bit posh." 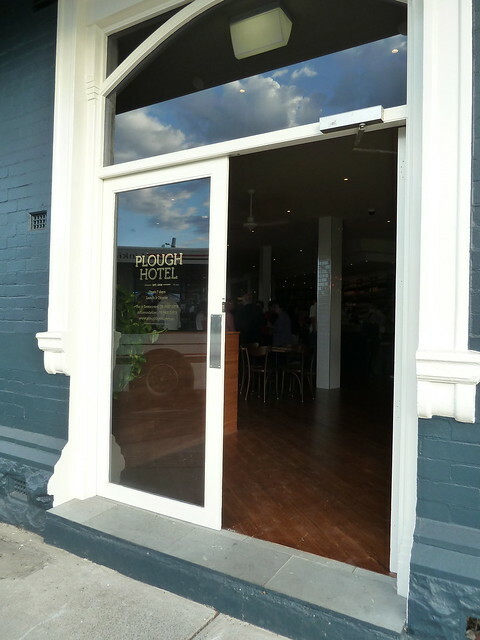 We were at the doors of the newly gussied up Plough Hotel, where I'd been just a few nights earlier for a lovely launch party complete with oysters, bluegrass and freely-flowing Brunswick Bitter. The refit is stunning, with glossy white tiles, luminescent bare bulbs and the visual pop of green succulents peeking out from shelves and tables. The pub has been here since 1868. I remember its former incarnation, windows daubed in fluoro paint that Candy the Clown was in attendance on Fridays. We'd had a few good roasts there but it didn't really rock our world. 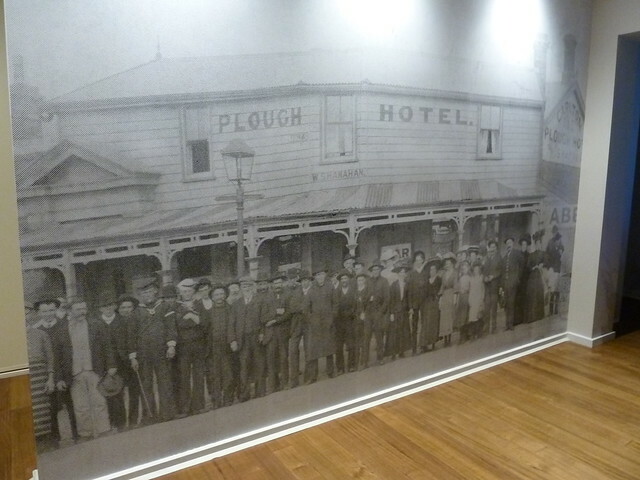 The Plough closed for what must have been a good year or two before opening under the stewardship of the team behind North Carlton's Kent Hotel. Instead of Candy with her balloon animals, there's now Kelly Brothers cider and 2 Brothers Grizz amber ale on tap, plus Mountain Goat's steam ale and more. "Bistro or dining room?" said the lovely waiter, and soon we were lolling languidly in a booth in the bistro. Apparently the dining room has the same menu but is just a little more formal. I bet its big north-facing windows let in lots of lovely light all day. The Plough has a menu that, on the face of it, could be that of any true-blue country pub - burger, fish and chips and even bangers and mash. But dig a little deeper and that burger has a veal pattie and roasted garlic aioli, and the fish and chips is flathead with local beers that change weekly, apparently. 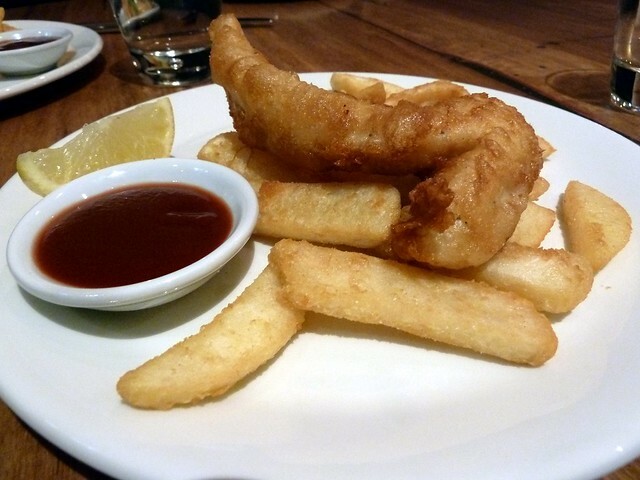 This was the kids' menu fish and chips and the fish was indeed a lovely flattie tail. It went down a treat. 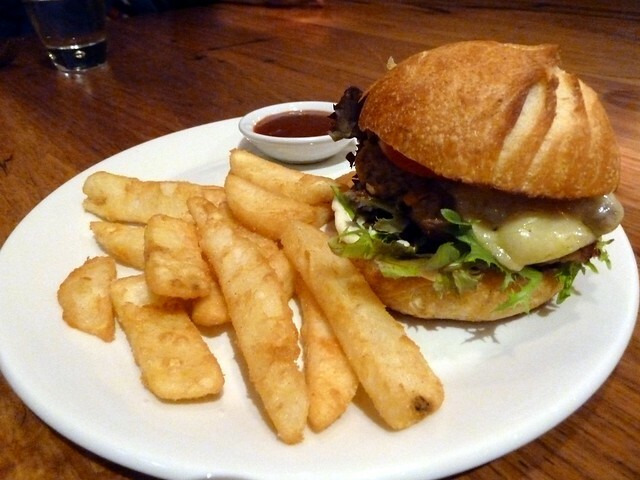 LOVED this kids' burger, the pattie so mild and sweet in flavour, with proper bread. 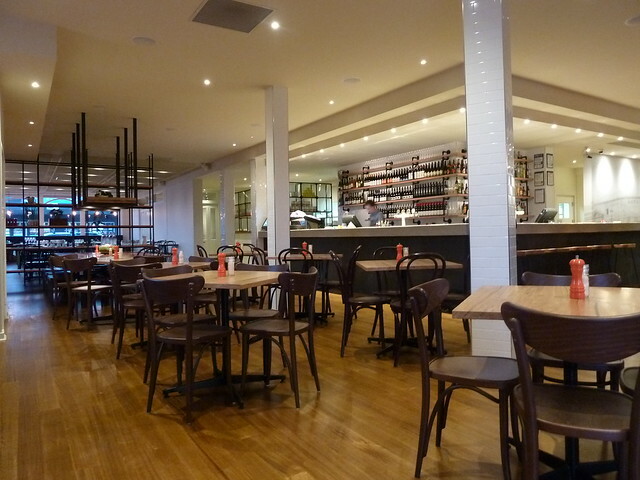 The Plough has just started getting bread from Sourdough Kitchen. I'm definitely keen to try this munchkin's bigger sister! 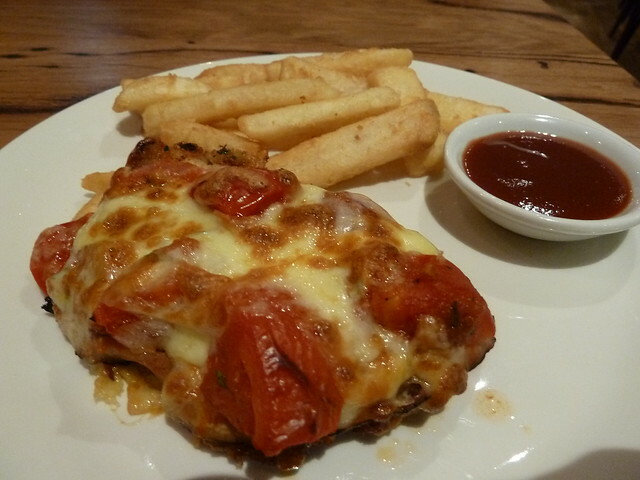 Kids' chicken parma which also got two thumbs up. The chips are "roughed up" on the outside, making them crunchy all over and eminently stealable. 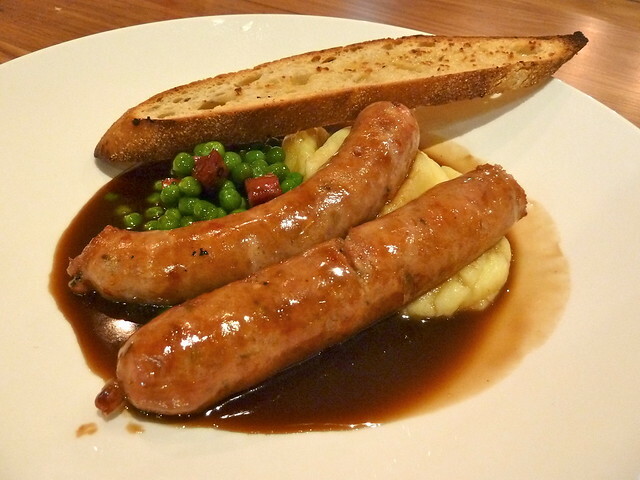 Great bangers and mash - quality pork and fennel snags with peas and pancetta lardons, in an intense, delicious gravy. The sausages were denoted as "Benalla", but our waiter just said they were from that area - I'd love to know more, if they're from a particular butcher or from a particular breed. There was a slight hiccup in this dish's first incarnation on the table in that the sausages were a touch pink. The friendly staff dealt with it with aplomb though. 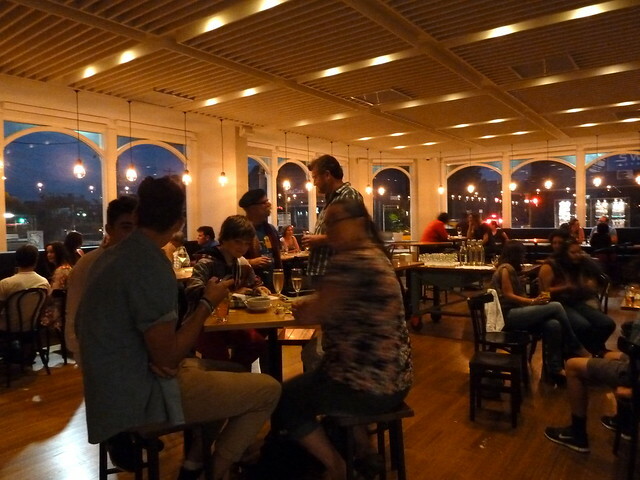 Being open for less than a week, this was nothing more than a minor mishap on the kitchen's behalf, and I also think the friendly yet professional way it was handled was telling as to the Plough's integrity and commitment to real hospitality. 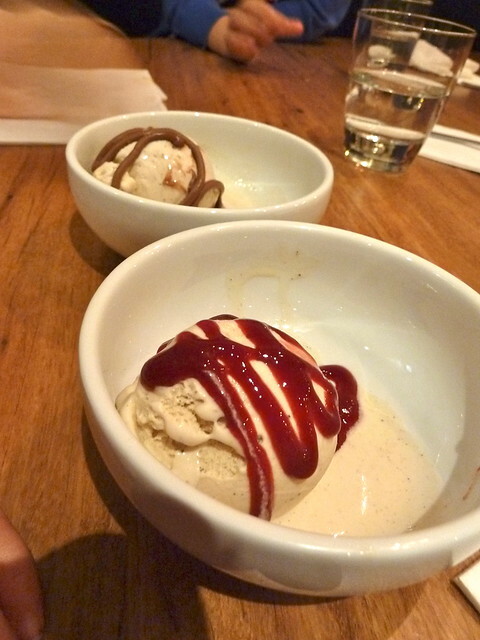 Tucking into ice cream with strawberry "sauce" (actually coulis - yum! 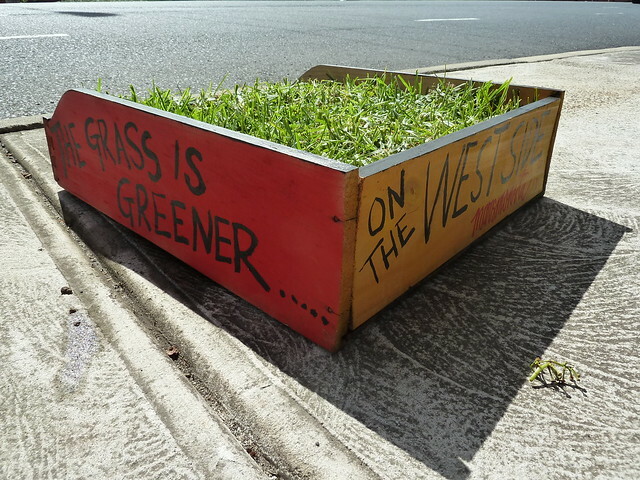 ), my 5-year-old said, "Mum, I thought you said this place was posh? Where is the posh bit?" And indeed, I had read the Plough all wrong. It's classy and it's gorgeous, but it's also down to earth - and downright good. Welcome to the neighbourhood and I look forward to many more ciders to come. The hottest ticket for me at this year's food festival wasn't Enrique Olvera's masterclass. What had me glued to my computer, credit card in hand, waiting for the seconds to tick down wasn't the world's longest lunch. 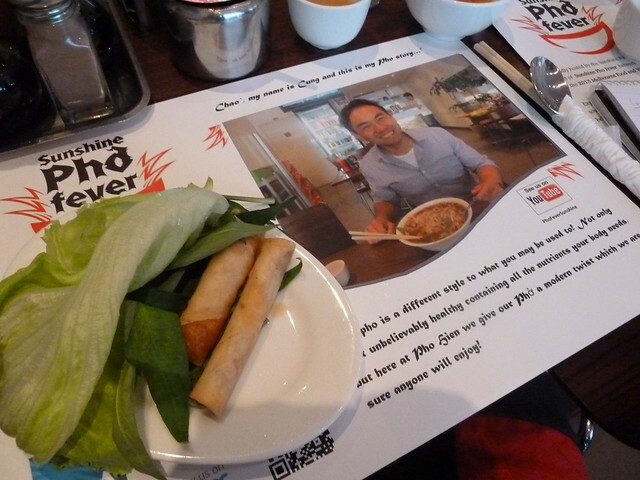 The degustation I was craving was a three-course dinner with just one dish - Melbourne's favourite soup, phở. Proceedings kicked off at the Granary. Do you know why Sunshine is called Sunshine? 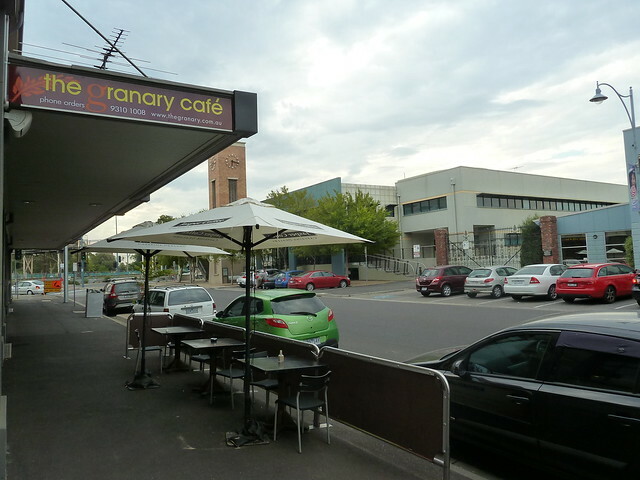 It was originally known as Braybrook Junction. When the Sunshine Harvester Works agricultural machinery factory moved here, its workers were encouraged to settle in the vicinity. They apparently petitioned to have the suburb renamed Sunshine in honour of this first employer. Sunshine Harvester Works was at one point the largest manufacturer in Australia and these imposing iron gates in Devonshire Road are part of all that remains of this industrial behemoth. A dispute between the owner of Sunshine Harvester Works and his employees led to the Harvester Judgment of 1907, a landmark legal case which enshrined in law for the first time that an employer must pay his workers a "fair and reasonable" wage. I learnt last night that at the Granary you used to be able to have a coffee at the actual "round table" some of these deliberations took place upon. 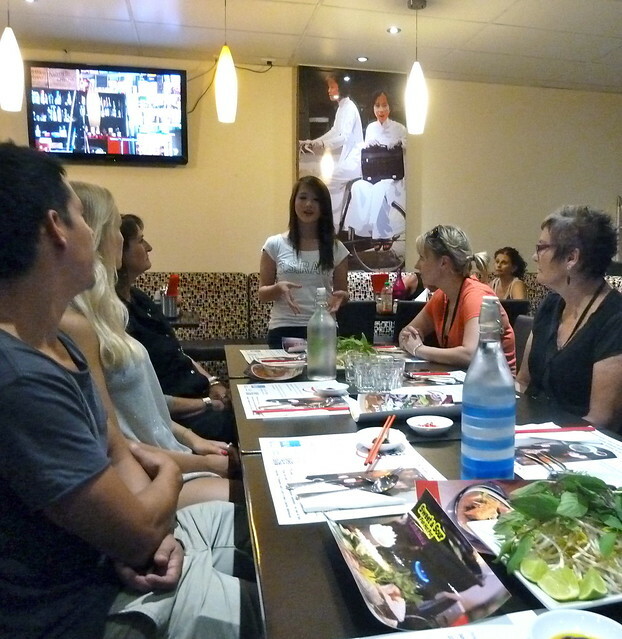 We were split into two groups, and my group's first stop was Phở Hien Saigon. 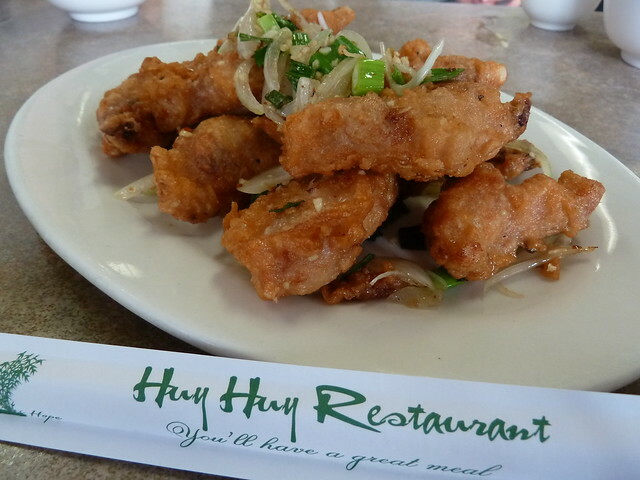 This light-filled, popular restaurant serves southern Vietnamese-style phở from an intergenerational family recipe. "Say goodbye to Maccas boys!" Love it! The popularity of Cung's phở is such that he's expanding next door. 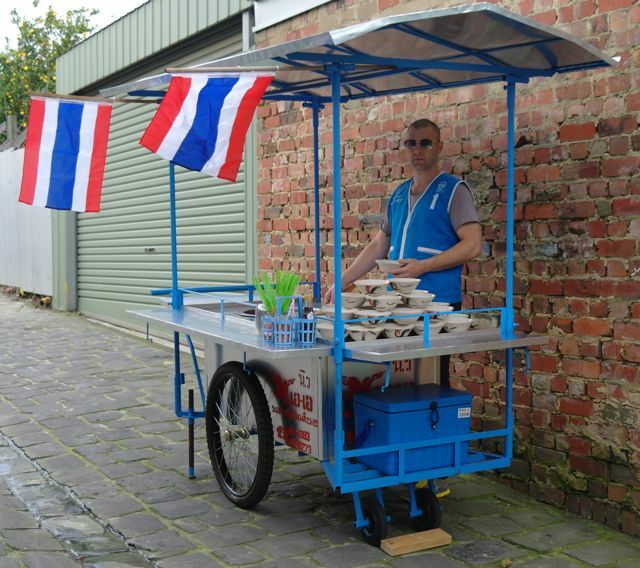 Phở Hien Saigon are also known for their banh xeo, available on Sundays only. It's Cung's dad's recipe which he in turn learnt from his grandma. 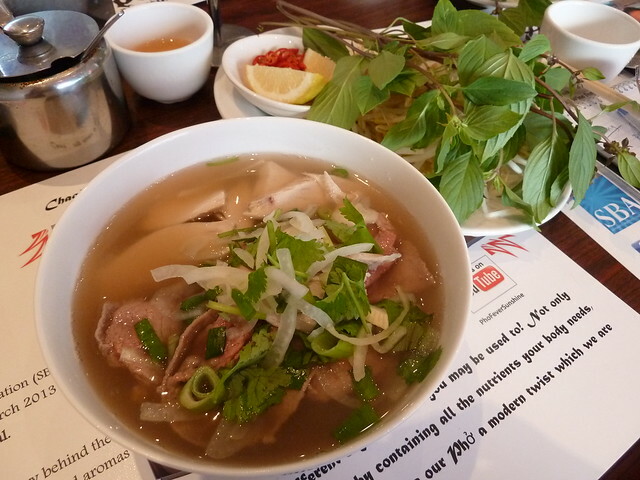 This bowl of mixed beef and chicken phở was just heavenly - so crisp and clear in flavour, with quality beef. 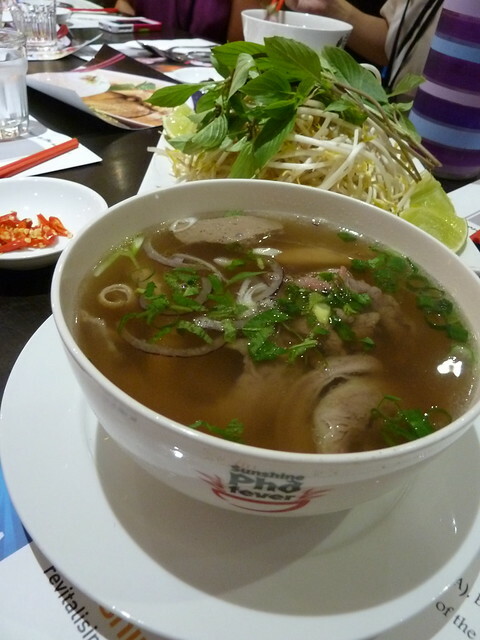 Southern-style phở is less "spiced" than northern-style, relying more on fresh herbs to augment the rich beef broth. Make sure you throw in some house-made pickled onions, available on each table. 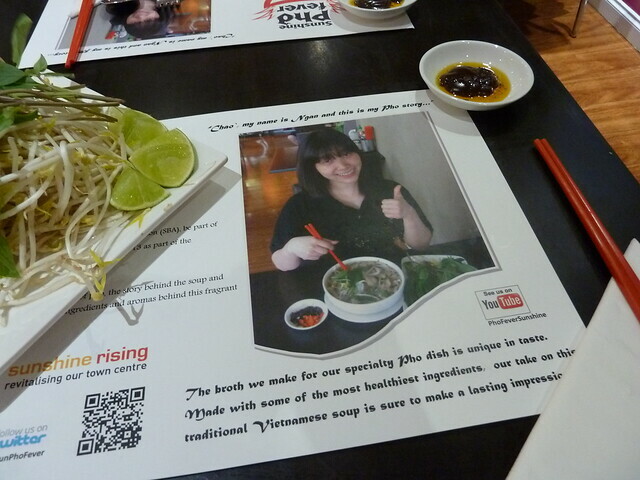 ...plus smart branding including bowls and placemats - excellent organisation and presentation. 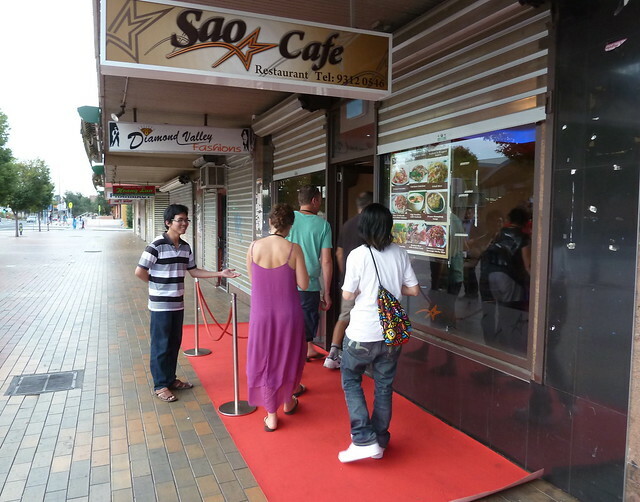 Sao Cafe's signature dish is bo kho, a thick beef, potato and carrot stew most commonly enjoyed in northern Vietnam, close to the Chinese border. 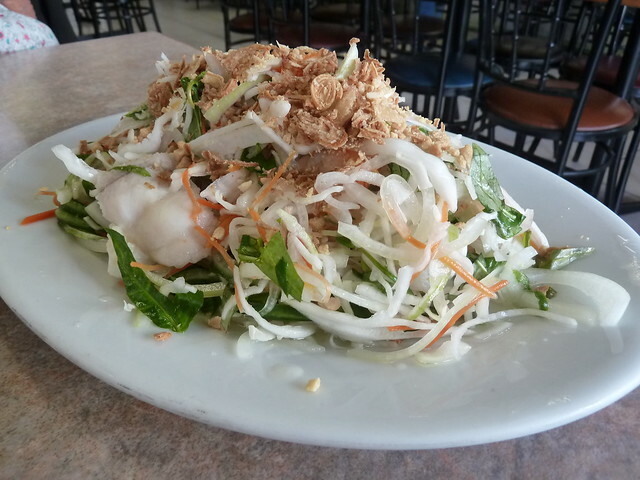 It's usually served with bread for breakfast or with phở-style wide rice noodles at lunch and dinner. Quoting from Gastronomy Blog: "If Vietnamese noodle soups were a high school popularity contest, Phở would be crowned Homecoming King... Bo Kho, on the other hand, would probably be chilling on the grassy knoll with the stoners; high and oblivious to the hype." 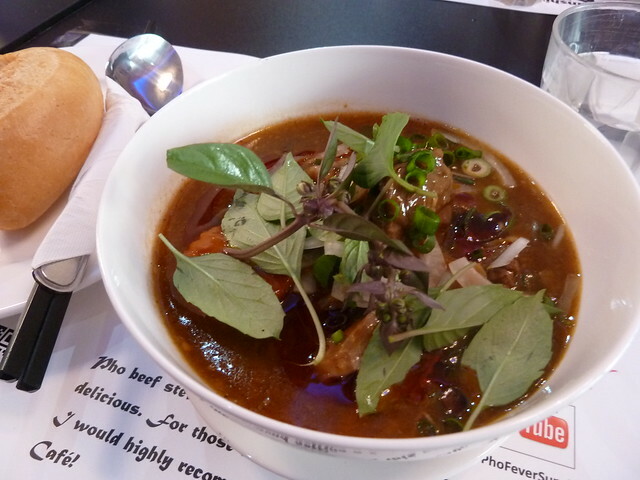 You need to try bo kho, and you need to try it from Sau Cafe. This was sensational, with a thick, tomato-based sauce, tender carrot and potato and big chunks of beef, slow cooked until you could cut them with a teaspoon. 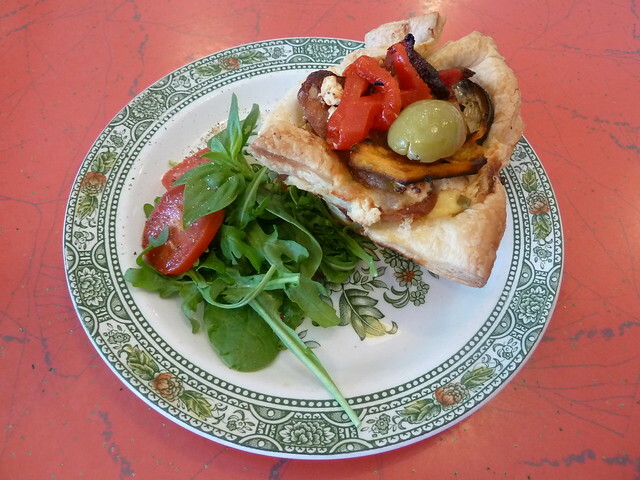 The basil on top provided a counterpoint to the rich, condensed flavours. Last stop, Phu Vinh. 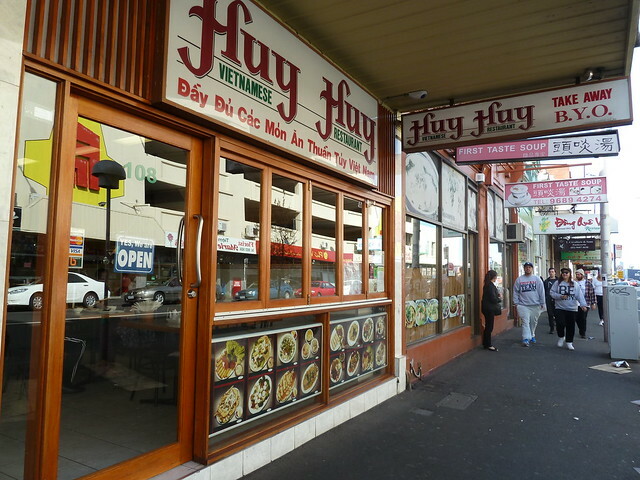 Phu Vinh's first store was in Footscray before they opened a second in Sunshine. 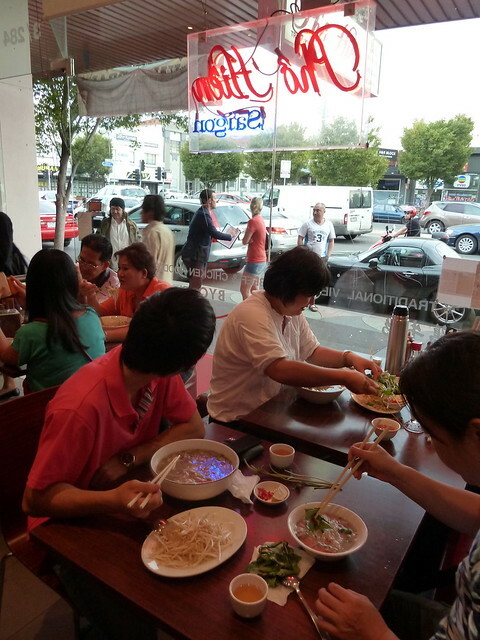 Their signature dish is hu tieu mi, or rice/egg noodle soups, but upon opening their second store they decided to begin offering phở. 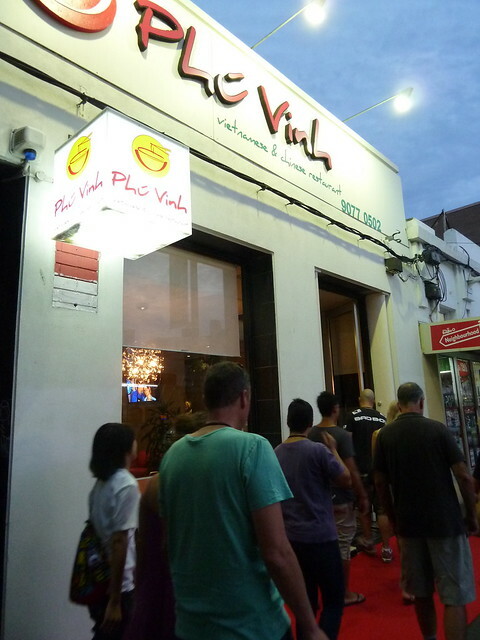 The lovely Stephanie explained that Phu Vinh's phở has a 24-hour cooking time and uses beef marrow and bones only (no chicken carcasses, which are apparently used as filler in some phở stockpots). Theirs is a 45-year-old family recipe from the south of Vietnam. I found Phu Vinh's phở good but on the sweet side for my taste. 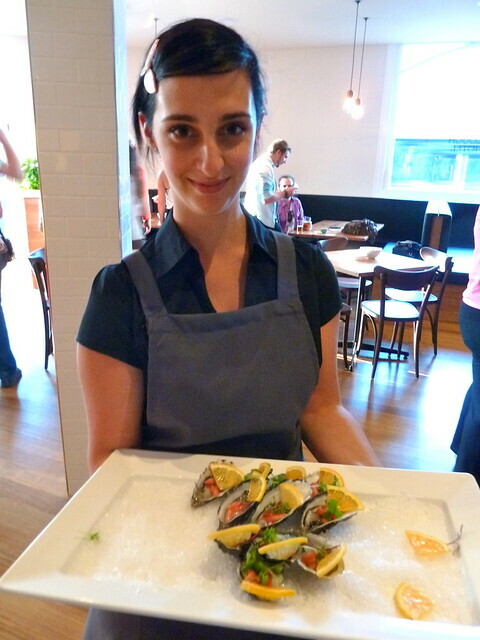 Stephanie did explain that the longer cooking time is said to bring out more sweetness from the bones. PS: When I picked on Mario about the hoisin sauce earlier, you are technically not meant to add it to the soup, but rather put a little in a small dish and dip your meat in it sparingly (ditto the chilli oil or sate sauce in silver pots on each table). But rules, schmules - do what tastes best. Are you into Vietnamese three-colour drinks? I admit I have never been - I find them too cloying. Stephanie explained that they are a comparatively modern invention. The original Vietnamese dish only had two colours - green jelly and red kidney beans - and was served with coconut milk in a typical rice bowl as a meal for labourers. It was later fancied up with more colours and served in a glass. I loved this original version, known as dau do banh lot, with slippery jelly "worms", sweet beans and the smooth crunch of ice in refreshing coconut milk. 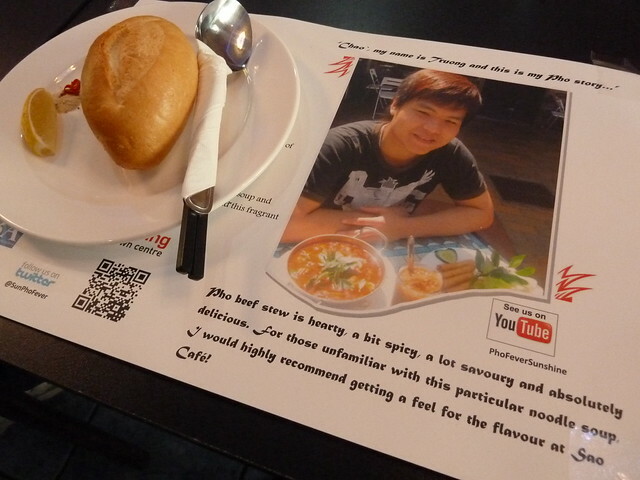 I'm not sure if Phu Vinh do this all the time, but I'd love it if they would! 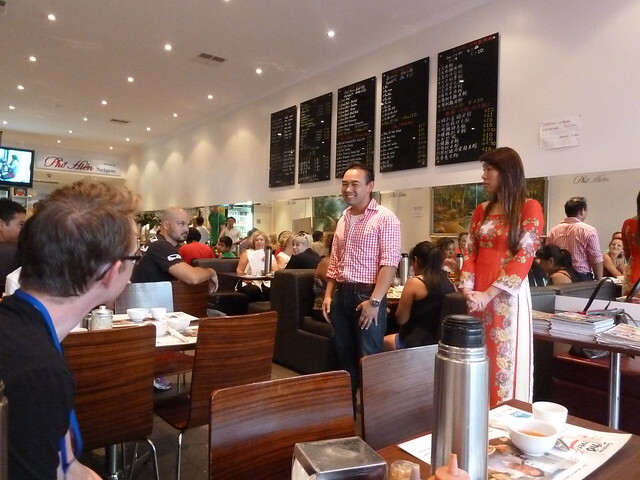 Hats off to the Sunshine Business Association for creating such a fantastic event. 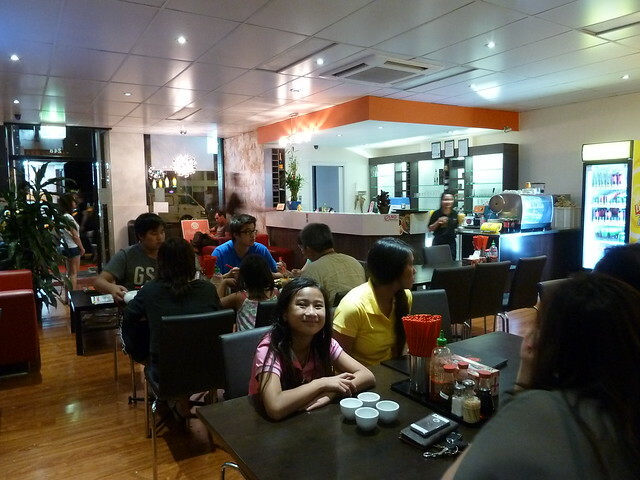 The other group got to try three different restaurants, namely Queen's Rose The Sun, Thuan An and Nhi Huong (2 Sisters). You can read Andrew of FoodsCrazy's wrap-up of all three via the links above, and see Jen's wrap of the same sequence I visited here. 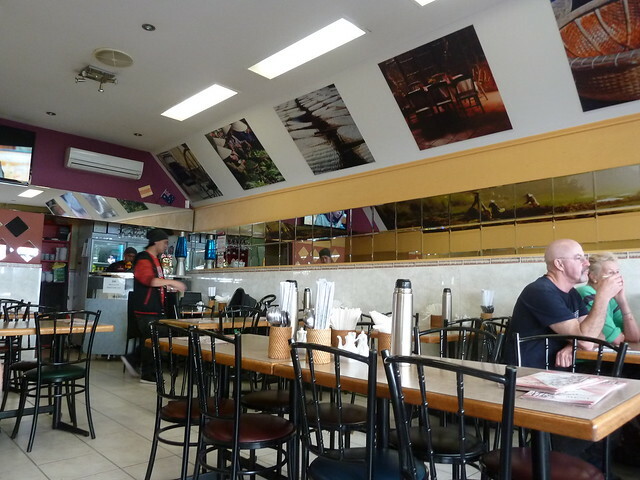 I didn't mind being split into two groups, but my suggestion would be that diners should get a "cheat sheet" or booklet on the restaurants they didn't get to try that night (perhaps featuring the images and blurbs from the placemats). 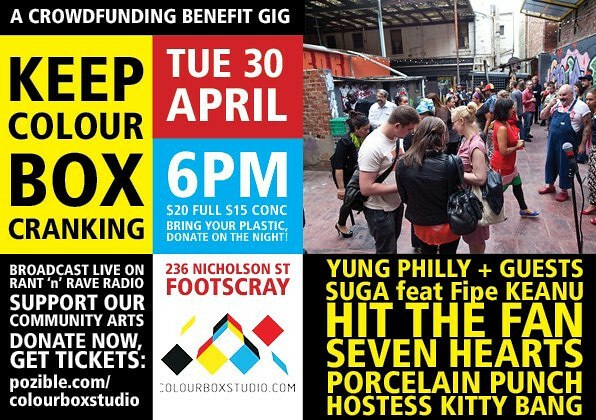 That way we can keep the phở fever burning for the next few Saturday nights to come! There's a new happy place in town. 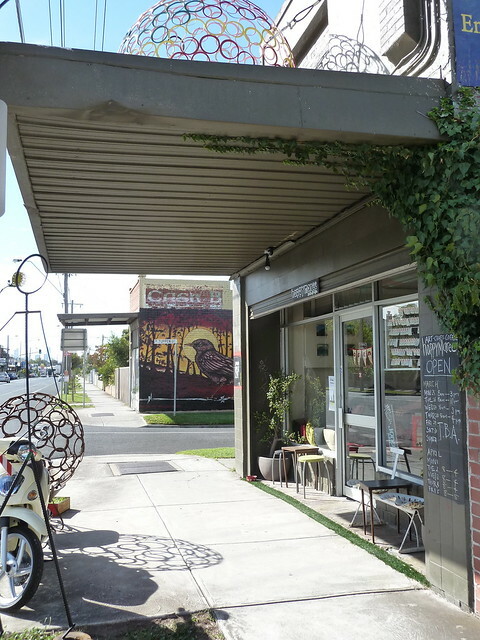 Right on the border of Kingsville and Yarraville, say hello to happymaree! This den of cool is the baby of Delanie (aka Maree) and Mario. 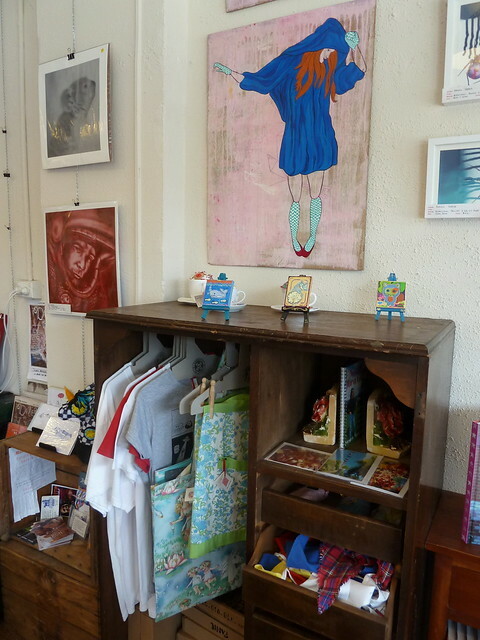 Happymaree was previously only seen at artists' markets around Melbourne and Victoria, but now their groovy badges, cards and other vintage-inspired goodies have a permanent home here in the west. 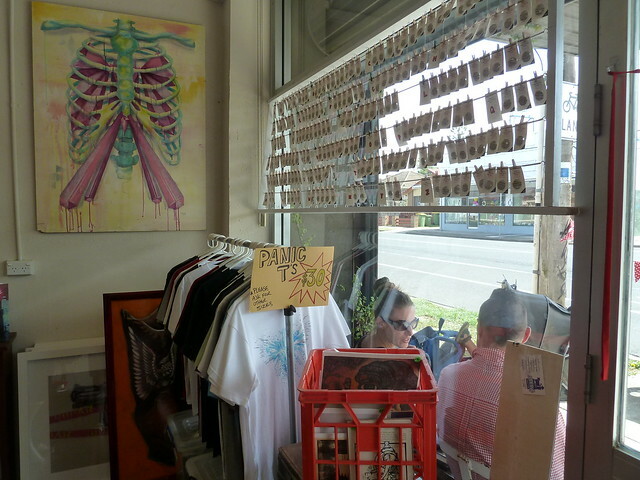 There's also work by other artists for sale, including Baby Guerrilla, best known for her paste-ups around Footscray and wider Melbourne. My daughter said today that she had a "meringue sandwich" with her aunty. I thought for a minute and chuckled. Obviously it was a macaron! In these days of macarons and caneles, can the humble muffin really hope to still compete? Well, when it's this good, it beats 'em all hands down. 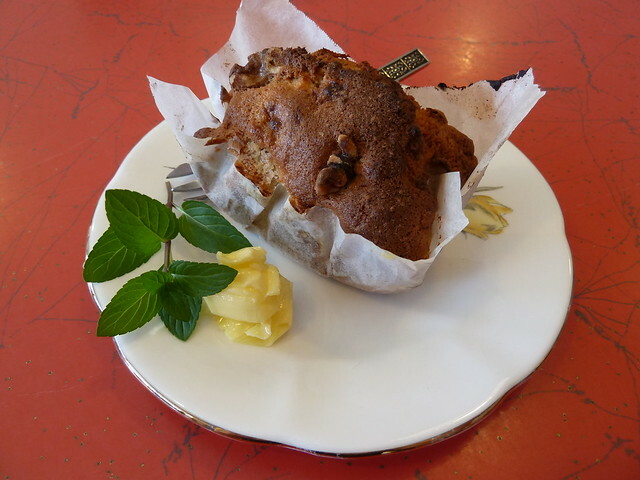 Still toasty from the oven, these mini banana and walnut loaves had perfect fluffy middles and warm crusty tops. We kicked them into overdrive with a smear of soft butter. 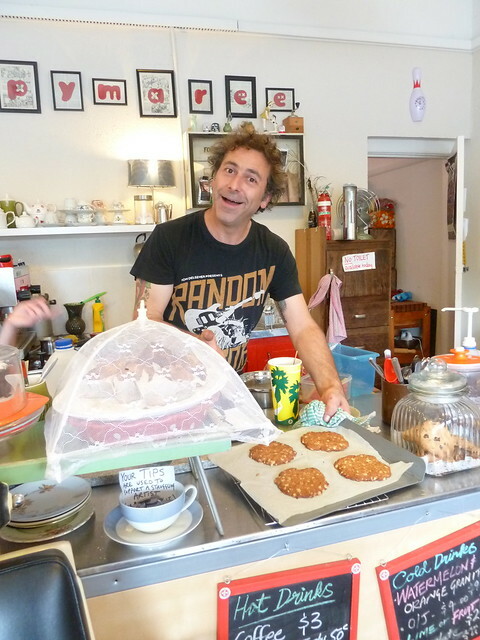 Here's Mario, one half of happymaree and the secret weapon behind these amazing baked beauties. (He's a trained baker and chef). 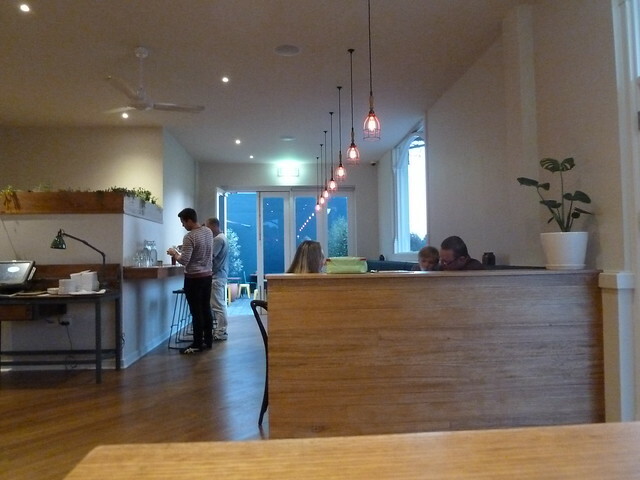 Happymaree is not officially a cafe but rather a home-based business that happens to serve coffee and snacks. As well as Anzac bikkies, they do dog biscuits too, like carrot and parsley (for pooches who want fresh breath)! Coffee is by Four Rascals, a small team with a no-nonsense, small-batch coffee roasting approach. 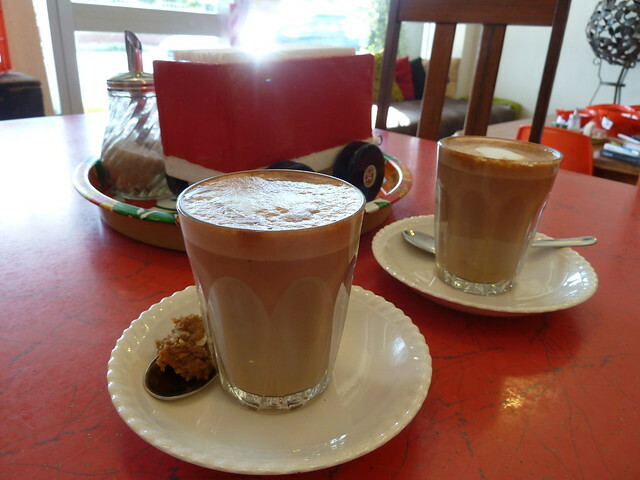 The milk wasn't lusciously foamy, but the underlying shot was well pulled, strong and tasty. 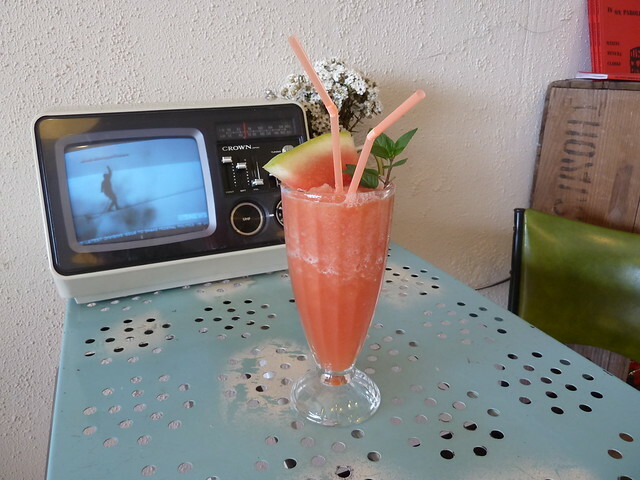 Another naughty freebie - a soothing watermelon slushy, the last sigh of summer. 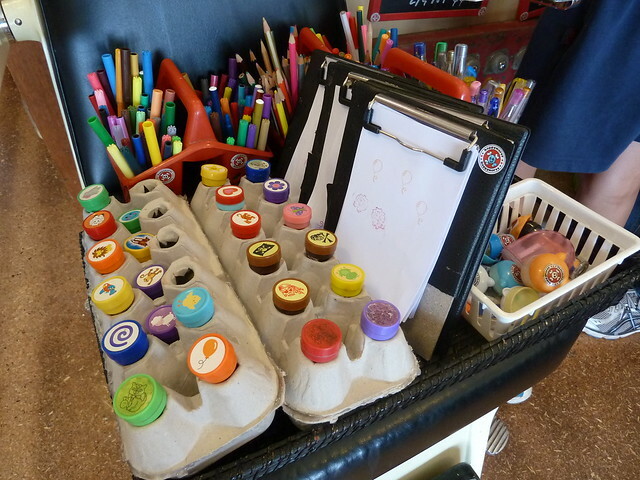 As for the kiddlywinks, they can get inspired with all the crafty goodness around and get stuck into paper, stamps and more. 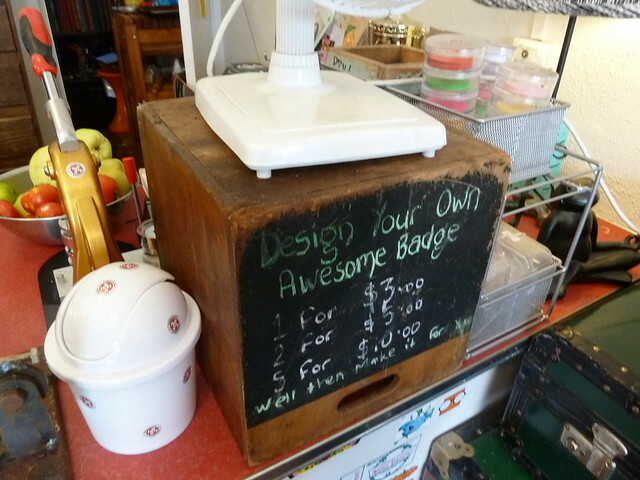 Plus, make your own badges! Cool! 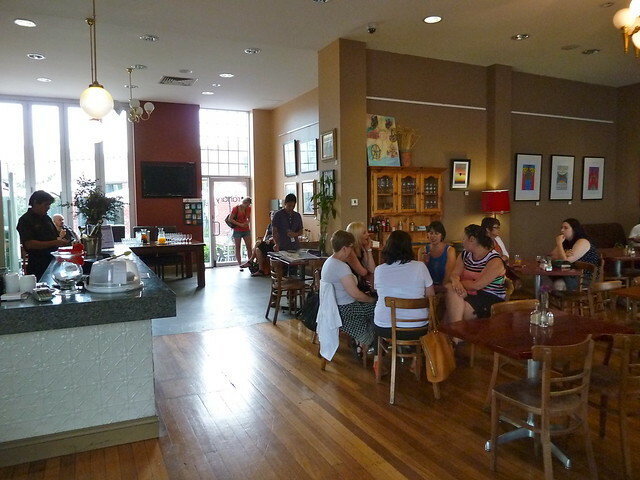 At this stage happymaree is open every day from 8am. 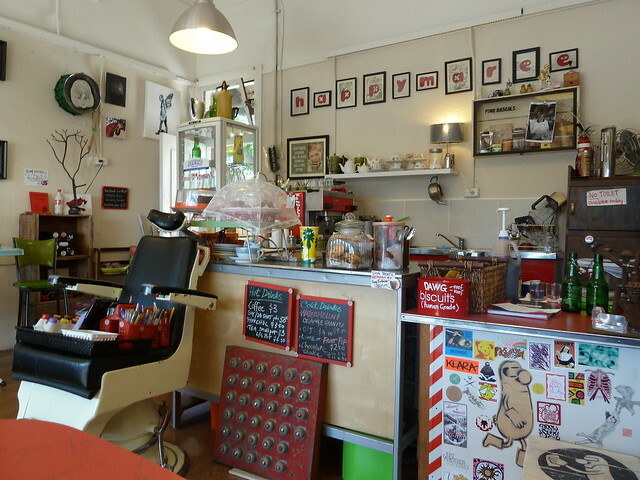 It is a home-based business, so their closing hours are flexible. Keep your eye on their Facebook page for last-minute updates.